They saw nothing but untapped potential. 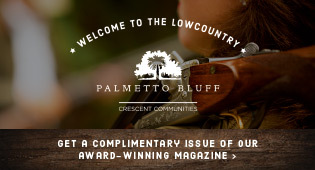 Growing a community out of marsh grass, tidal pools, live oaks, sea life, sand, and sunshine, the visionaries of modern Hilton Head Island first built a remarkably singular neighborhood, and then they built a school. Fifty years later, families, teachers, administrators, and students still see nothing but potential. 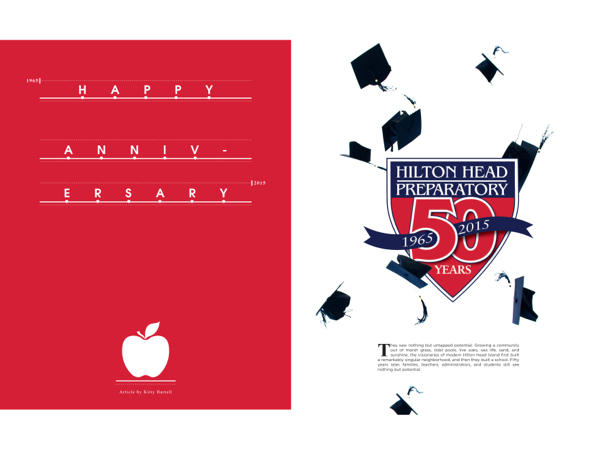 With the 2015-2016 school year, the island’s oldest still-operating school, Hilton Head Preparatory School is celebrating its fiftieth anniversary, honoring a history of hard work, unwavering dedication, and academic, arts, and athletic excellence. The journey is a tale of two schools. Serving grades kindergarten through 12, HHP is understandably proud of its 100 percent senior acceptance rate to colleges and universities. With an average student to teacher ratio of 12:1, the room for program customization greatly benefits the student, allowing for college prep curriculum focuses much like college majors. HHP has an expectation for excellence from all students and provides them with academic, athletic, and artistic resources to harvest all that potential. 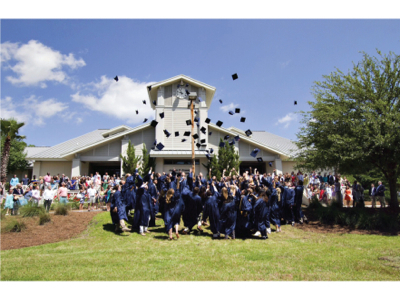 With the 2015-2016 school year, the island’s oldest still-operating school, Hilton Head Preparatory School is celebrating its fiftieth anniversary, honoring a history of hard work, unwavering dedication, and academic, arts, and athletic excellence. Hopman and Brown know that it takes a community effort to make it all happen, from dedicated parents supporting their students and the school’s initiatives, to a highly distinguished faculty. The average tenure of a HHP teacher is 18 years, with over 50 percent holding advanced degrees in their fields. The school also offers financial aid for students who qualify and works closely with families to help make HHP highly accessible. In late 2014, an exciting new resource for the school came in the form of the largest single donation ever presented to HHP. James Bradshaw of Hilton Head Island and Carlos Evans of Charlotte, North Carolina gave the island’s Main Street Theatre, valued at $1,950,000, to the school. 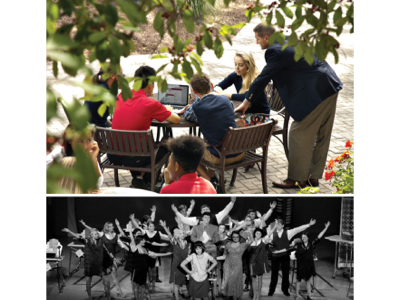 In addition to its high-achieving, academic rigor and competitive athletics, the visual and performing arts are burgeoning at HHP, where faculty have found that encouraging students to participate in the arts only increases the frequency of uncovering even more untapped potential. The coming fiftieth anniversary school year will be brimming with opportunities to celebrate the potential and see the broad reach of the school’s students, faculty, administration, families, benefactors, and alumni. There will be performances on the playing field, in the studio, and on the stage; Homecoming activities in October; marching in the Bluffton Christmas Parade and the island’s St. Patrick’s Day Parade; fundraisers to benefit programs and projects at HHP through events such as The Festival of Trees Preview Party in November; the school’s booth at The Heritage in April; and the 50th Anniversary Golden Jubilee in February. HHP is understandably proud of its 100 percent senior acceptance rate to colleges and universities. 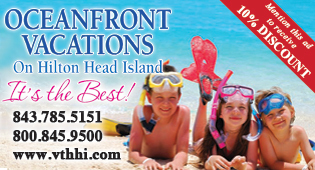 Hilton Head Preparatory School is located at 8 Fox Grape Road, Hilton Head Island. 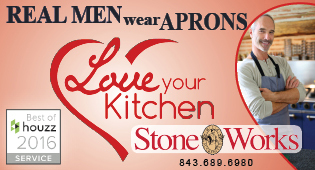 For more information, please visit hhprep.org or call (843) 671-2286.